Ok. So perhaps that is just the teeniest bit dramatic for the start of this post, but there you have it. Never let it be said that your Mother Hen is anything other than theatrical! Yes, my lovelies. Spring has indeed sprung here in the henhouse, and before long I shall be counting my chicks once they’ve hatched. As most of you know, my pet chicken Dusty has gone broody, and having started with nine eggs originally, we are down to seven after one breakage and another that candled blank. Still, seven chicks is nothing to sniff at! Over the weekend, a friend of mine indicated he would like any chicks I can spare, so I have earmarked the hens from this batch for his new flock, less cockerels, which will be culled or eaten. But with plans to expand my flock of ten girls up to around twenty, I was hoping for another batch of chicks of my very own. And voila, with hormones raging in the henhouse these days, it would seem broodiness is catching! Buffy, my Buff Orpington, went broody yesterday morning, but after marking her a clutch of eight, she promptly abandoned the nest and spent the day foraging with the rest of the chickens, a fact which disappointed me sorely. Nevertheless, I am not a mother hen to give up so easily. I left her clutch in the nest, and today she is in a proper, hard brood, screeching and pecking at anything that so much as moves in her vicinity. This, believe it or not, is a very good sign! What all this means, for those of you who may not be chicken savvy, is that I have one clutch of seven chicks due 19-20 April, and another clutch of potentially eight chicks due 5-6 May. Right now, I am praying fervently that both untried broodies prove to be good mommas, or I shall have to take the raising of the babies on myself. To roughly quote Dickens, “This is the best of times, but [potentially] the worst of times, this spring of hope! I loved this!! Indeed spring is a busy time in the chicken coop!!!! I am looking forward to updates. 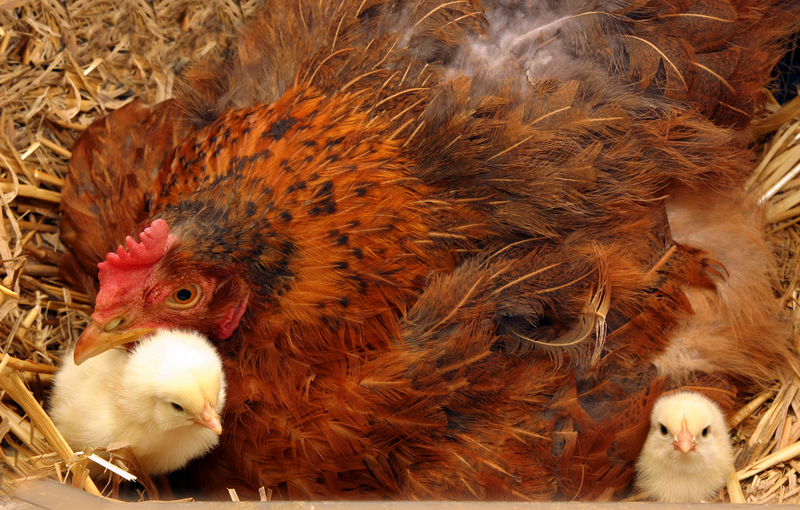 Do your hens know their brooding has an audience halfway across the world? Hello, my lovelies! And how sweet of you to drop by and join us here. Settle in and make yourself at home with a little comedy, minimal drama, plenty of sarcasm, and a splash of fiction thrown in just to keep y'all on your toes... Welcome! Enter your email address to follow Mother Hen and receive notifications of new posts by email. My beautiful sister @designerkath ... such a day out in London! Unauthorized use and/or duplication of this material without express and written permission from this blog’s author and/or owner is strictly prohibited. Excerpts, pictures and links may be used, provided that full and clear credit is given to motherhendiaries.com with appropriate and specific direction to the original content.